Imagine telling your friends you went canoeing and saw lions and tigers and bears… Oh my! They’d never believe you were in Jacksonville when you did it. When you add that you were in a giant canoe with 9-other people, they’ll surely conjure up images of a safari in some remote and exotic location. The truth is much closer to home, but it is indeed an exotic adventure nonetheless. 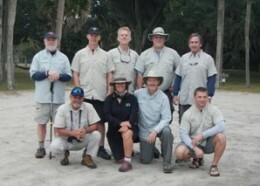 For a truly one-of-a-kind outing, guided War Canoe trips to the Jacksonville Zoo and Gardens offer fun and excitement for the whole family or for any group looking for an out of the ordinary outdoor adventure. 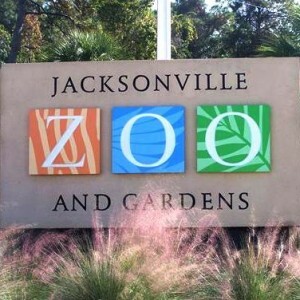 The Jacksonville Zoo and Gardens is a peaceful and interesting place to spend an afternoon. Whether strolling around the exhibits or enjoying a picnic in the shade the scenic and tranquil surroundings create an ideal environment for unwinding and relaxing. The Jacksonville Zoo and Gardens is home to a number of interesting species from around the world, including Jaguars, Elephants and Giraffes, among many other, not-so-well-known creatures. With over 2,000 rare and exotic animals and 1,000 varieties of plants, Northeast Florida’s only “walking safari” is sure to have something for everyone. To add a unique twist to your expedition, take your group to the zoo in one of Big Canoe Fun’s two Voyageur-style War Canoes. 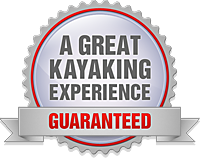 At 25-feet long and over 4-feet wide, these Big Canoes are stable, safe and seaworthy – made for big open water and even whitewater. Each canoe will easily carry a guide and 9-guests with room for lunch – making these war canoes the perfect choice for any group looking for a fun outdoor activity. When you canoe to the zoo in a War Canoe, you will get an opportunity to step back in time by paddling the first war canoes in Jacksonville in over a hundred-years. You’ll also get a chance to experience the history and natural beauty of the First Coast from a truly distinctive perspective. What better way to take your party on a safari than in a big War Canoe?